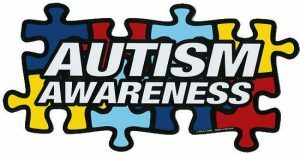 Autism is also referred to as Autism spectrum disorder (AS) which is a broad range of conditions characterized by challenges with social skills, repetitive behaviors, speech and nonverbal communication. Other behaviors may include repetitive body movements (rocking, flapping, spinning, running, etc) and repetitive motions with objects (spinning wheels, shaking sticks, and flipping leavers). These behavioral symptoms of Autism can appear as early in development by 12 months and 18 months. Early signs include no eye contact, no response to name, problems following objects, and poor skills in pretend play. Many parents are not aware of the early signs and get most children get diagnosed at age 3, early detection and early intervention can improve a child outcome. If you should suspect something is wrong DON’T WAIT. There are different ways to have your child evaluated and get support he needs. Talk to your child primary doctor and get a developmental assessment to start, which is a good time to as for a specialist. Although there is not treatment for Autism, diagnosis and intervention is most helpful and can improve behavior, skills and language development. Children do not outgrow Autism however they can learn to function and live well.